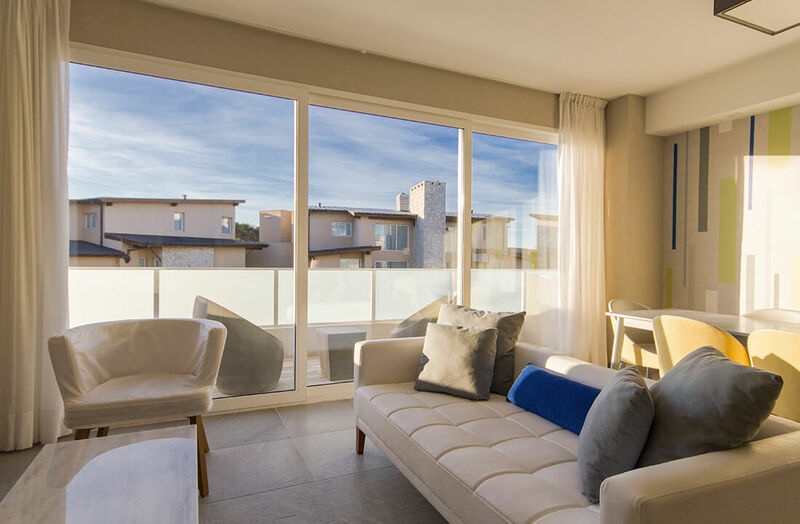 Suitable for use as either interior or exterior doors, patio doors from Budget Windows are a great solution for creating a home-environment that feels incredibly spacious. 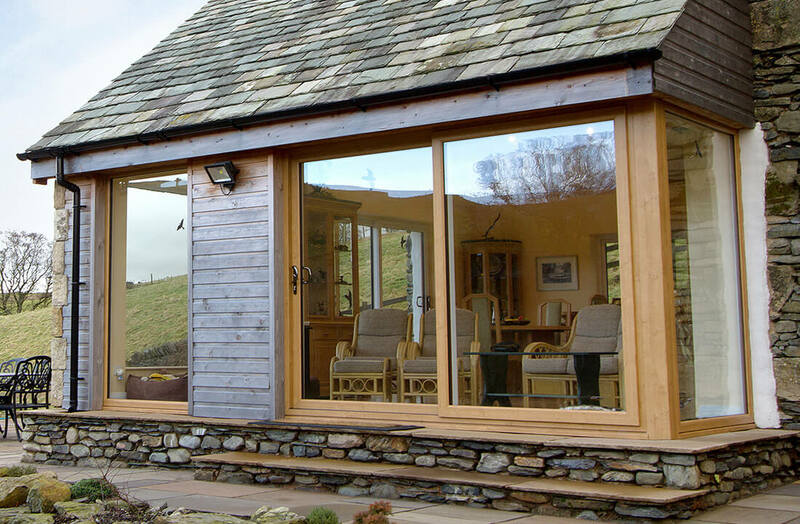 We install them in either aluminium, timber or uPVC. A sure way to introduce light and air to any St Albans, Hertfordshire or North London home without inhibiting external views. One of the main draws of sliding doors is that their design consists mostly of glass. As a result of this, the amount of light they allow into the home is extraordinary, which leads to interior rooms feeling considerably better lit than before. Because they slide to one side instead of inwards or outwards to open, they’re also fantastic in environments where space is at a premium. 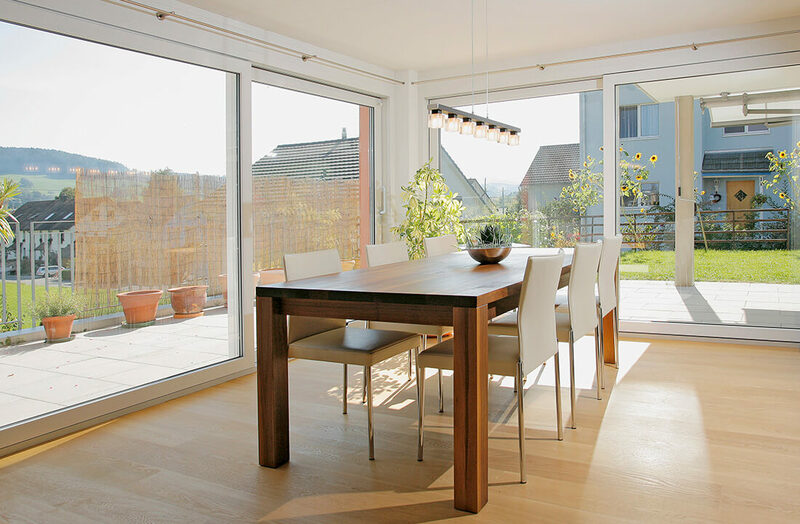 Although a wide number of configurations are available for sliding patio doors, at least one of the panels will always be fixed. Because of this you can provide your home with huge volumes of air without leaving it totally exposed to the elements. If disabled or easy access is required, we can fit an ultra-low threshold, which allows for straightforward transitioning through the doors. 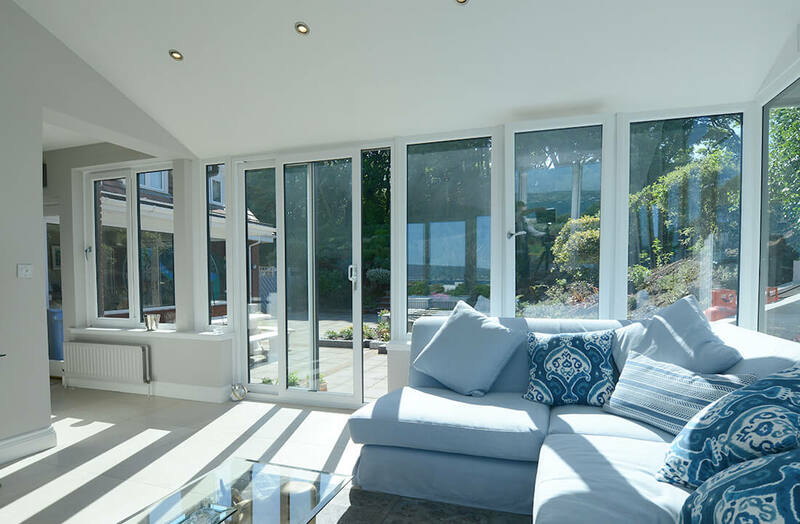 Energy efficient and highly secure patio doors for total comfort and complete peace of mind in Hertfordshire. High-quality double glazing is fitted as standard, ensuring for significant reductions to your energy bills and pleasant internal spaces. The interior of your home will also be secure from intrusion thanks to a selection of the latest security hardware. The hardware we use includes multi-point locking systems, which secure the doors at various points in the frame and internal glazing. Internal glazing prevents panes of glass being removed from the outside. Additionally, laminated glass is available if you require an additional security boost. 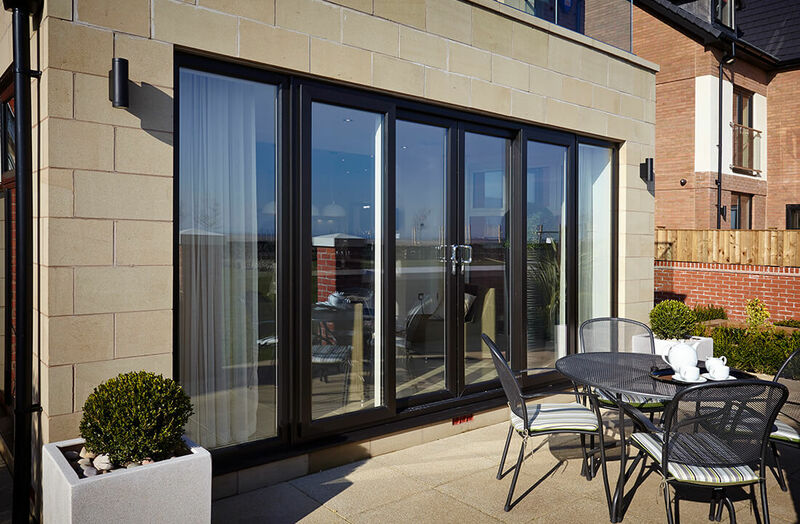 Choose from either uPVC, aluminium and timber for your patio doors. Although each material provides some of the same benefits, they each have their own distinctive advantages. For instance, uPVC is incredibly easy to maintain and tends to be more cost-effective than the other materials. Of the three materials, aluminium is the strongest. 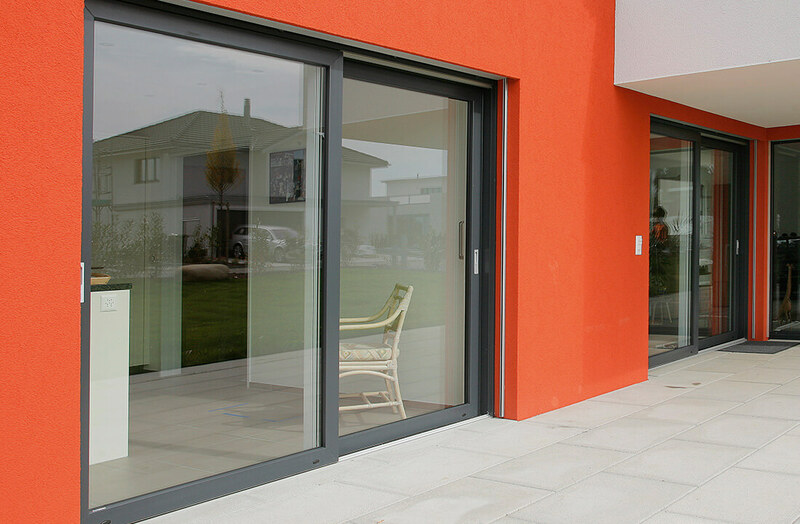 For this reason aluminium sliding doors feature slightly thinner framing. This allows them to let in slightly more light than the other materials whilst enjoying an elegant, contemporary appearance. Complete the look of your patio doors with an extensive choice of colour finishes. This will allow you to co-ordinate their appearance to suit your home with ease. The colours and finishes that are available will vary according to the material, however. 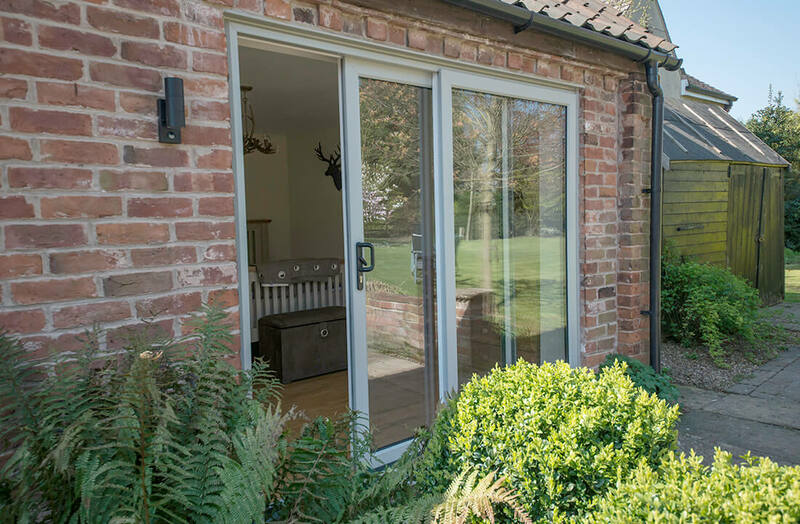 Budget Windows’ collection of aluminium patio doors are available in over 200 RAL colours and our uPVC sliding doors in 16 different finishes. Timber variants can be finished in 16 different stain finishes too or any RAL or Farrow and Ball Colour. We also provide the option of dual colouring the doors. This means they will have a different colour for the interior and exterior sides. This is a great option for those who are looking to ensure colour compatibility with both the inside and outside of their home. Patio doors are available in several configurations. However, some of the configurations that contain a higher number of door panels are unlikely to fit smaller apertures so bear this in mind when considering which configuration is right for you. 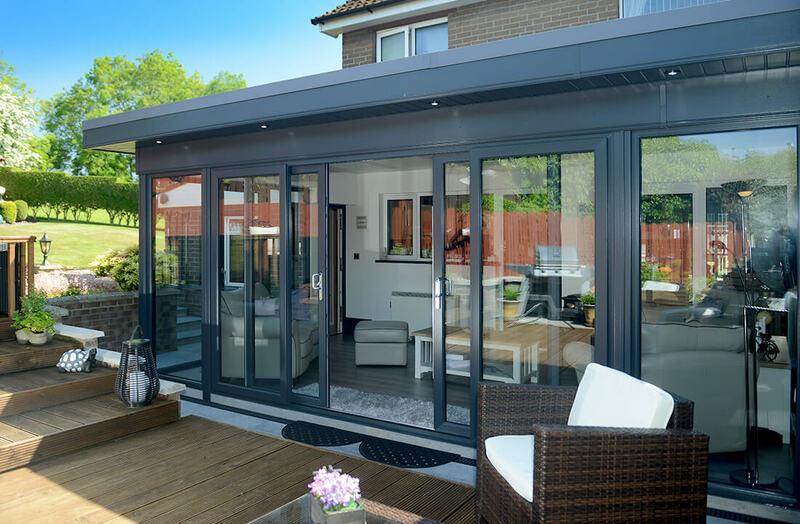 Choose from between 2 and 8 door leaves for our patio doors. The size of each panel can be tailored to suit your home meaning we‘re able to fill apertures of various heights and widths. Additionally, you can decide whether you’d like the doors to open to either the left or right. However, if opting for a larger number of door panels, patio doors can be configured to open at both sides.